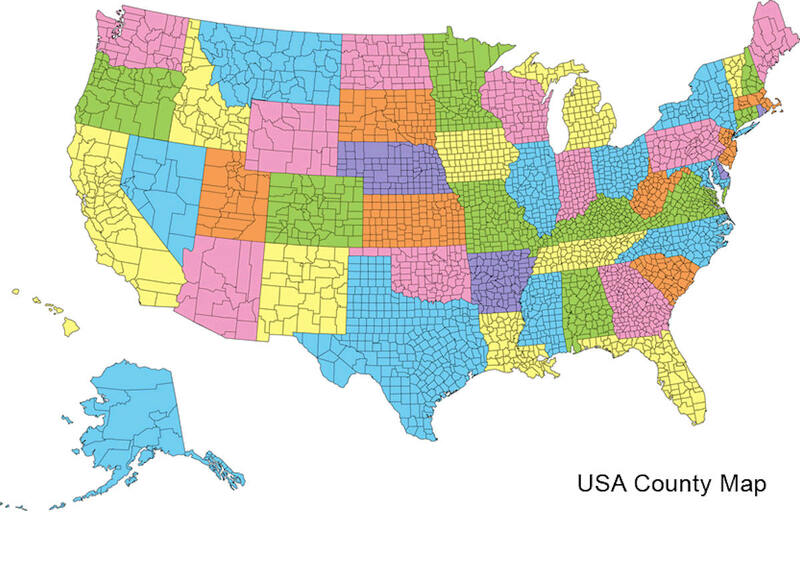 There is ninety-three counties in state of Nebraska. Despite the fact that Sarpy County contained the oldest settlement in the state, it was one of the last lands along the river to be recognized by law. 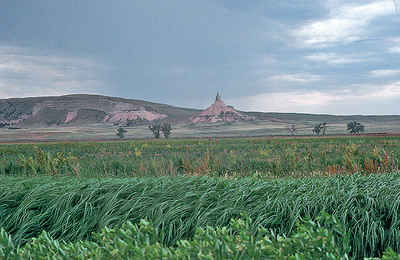 Finally, on February 1, 1857, the land "where the cities meet the country" was officially created. Hamilton County is a county located in the state Nebraska. Based on the 2010 census, the population was 9,124. Its county seat is Aurora. The county was named for Alexander Hamilton, the first Secretary of the Treasury. Hamilton County is included in the Grand Island, NE Metropolitan Statistical Area. Namedin honor of Alexander Hamilton, who was Secretary of the Treasury in George Washington's cabinet. One-hundred years ago, what was termed at the time as "one of the finest courthouses in Western Nebraska" burned to the ground. But before 1894 came to a close, Hamilton County residents rallied together and began work on a $60,000, three-story, brick and stone courthouse. Next year Hamilton County residents will be rallying once more. This time it will be to celebrate the centennial of their grand courthouse building. Located on Central Park Square, in the heart of downtown Aurora, the symmetrically-arranged courthouse features a tower on each corner and a center tower measuring 150 feet high. Over the years, very few alternations have been made to the courthouse. Much of its original ornate woodwork is still in place today. The 100-year-old courthouse is actually the third to serve the county, which was organized in 1867 and named in honor of Alexander Hamilton, who was Secretary of the Treasury in George Washington's cabinet. The county's first courthouse was built in 1870 in a settlement named Orville City, which was platted along the Blue River. Orville City was intent on remaining the county seat, despite efforts to the contrary. In 1873 a petition was filed to move the county seat to Aurora. An election followed and Aurora prevailed. Commissioners, however, refused to move and a court order was issued against them. The commissioners fought it up to the Supreme Court, which ruled against Aurora. Not to be deterred, Aurora residents brought the issue to a second vote of the electorate the following year and again prevailed. The commissioners still refused to move. At that point, 150 supporters of Aurora traveled to Orville City and captured the county records. A court order, however, forced them to be returned to the original county seat. It would take three subsequent elections before Aurora finally became the county seat. 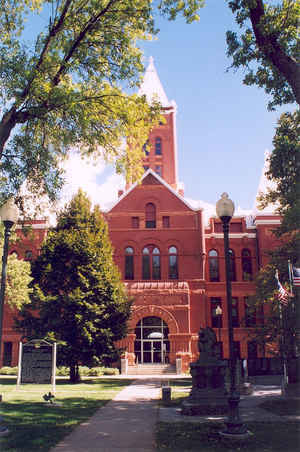 To ensure its victory would stand, Aurora townspeople in 1877 built, without expense to the county, the courthouse that would eventually burn down in 1894.